Gary Smith, now 46, was working as a scout for Arsenal a few years back, a Premier league team in England. While scouting, he decided to join the Colorado Rapids to launch the Arsenal youth academy at the Rapids’ facility in 2008. He took over as their coach midway through their season. In their second full season, Colorado defeated FC Dallas in overtime, which led to the club’s first major trophy. In addition to Gary Smith, his friend Steve Guppy, an English international, two-time League Cup winner, will join the team as assistant coach. With Guppy, experience isn’t even a question. Guppy offers 19 years of professional soccer experience, including teams like Celtic, the Premier League’s Newcastle United and Leicester City and MLS’s D.C. United. He also served as an assistant under Gary Smith with the Colorado Rapids, helping lead them to victory. In his three years with the Rapids, the team finished 34-27-33, and earned qualification to the CONCACAF Champions League and MLS playoffs. In the time that Guppy and Smith were split, Guppy worked with current Republic of Ireland boss Martin O’Neill; first at Sunderland AFC and then with Ireland. In addition to working with the Silverbacks, Guppy will still remain chief scout with Ireland and assistant coach to O’Neill and the Irish senior national team. Smith says he is more than pleased to be working with Guppy again. 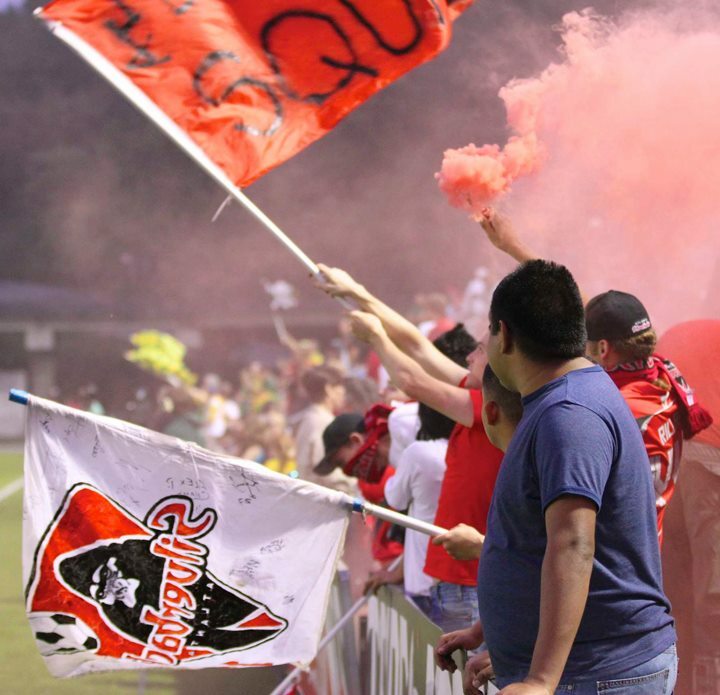 The Silverbacks will open the NASL Spring Season on April 4 against the Indy Eleven at Atlanta Silverbacks Park. Until then, check back with Ticket Alternative to make your 2015 season ticket deposit! We wish the Silverbacks a successful spring season with their new coaches.